We moved our parents into an assisted living situation at Orchard Heights about a month ago. They have 24-hour care. It has independent as well as assisted living and it's one of the few in New York state that has enhanced assisted living, which means they also have hospice care and memory care unit. Their big thing is you age in place -- you never have to leave once you're established. The place has just gone through renovations. It's quite lovely and my parents' suite is brand new. The staff is extremely sweet and caring. They have a chef there and they have really nice food. For my parents to say it's really nice food, it's definitely really nice food. They have many choices. They have a standard menu you can pick off and two other choices if you don't like those options. It's very good food. Everyone eats in the dining room, there's no eating in your room. You're served like you're in a restaurant, which is very sweet. It's a lovely place. They're very careful about the staff they pick. There are a ton of activities 24/7. The best way to get to know a community is by scheduling a tour. See the facilities, meet the staff and residents, and get a feel first hand what it's like to live at Orchard Heights, Inc Assisted Living. Opening this summer of 2016, Orchard Heights is a senior living community located in Orchard Park New York. It is an all-inclusive premiere senior living. The facility has a stunning architecture and surrounded by a spacious neatly manicured lawns. The inside is more amazing as the atmosphere is very welcoming and gives the homey feeling. Orchard Park New has been specifically designed to offer an encouraging, supportive, and secure environment for residents. Our belief is to create a home-like atmosphere to enhance the independence and quality of life for your loved one. Our community aims to provide comfort, convenience and luxury of a home. Our residents enjoy getting their hair done on our own beauty salon and barbershop. Our immaculate living room is a place of socialization and where great memories are formed. Residents enjoys lounging and sipping a cup of tea on a lazy afternoon. We offer studio apartments, one bedroom and companion suites that are spacious, has its own in suite bathroom, spacious closets, wall to wall carpeting, and individually controlled air conditioning. 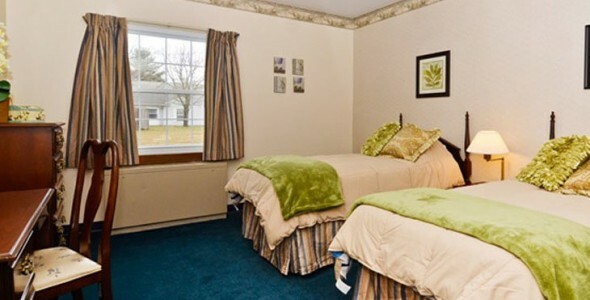 Each apartments are specifically designed for senior living and assures safety, comfort and security to our residents. Here at Orchard Park New York residents are served with nutritionally balanced meals that are freshly prepared from scratch by our culinary educated chefs. We believed that one of the important keys in good health is a good and nutritious meal. We also have transportation services for residents when they need to go to their doctor’s appointment, trips, outings and shopping. Our community aims to provide the best care and assistance to our residents. Our staff are available 24 hours a day on site to ensure that our residents get optimum care. We have daily activities that where created with the help of our residents and developed to continually enrich the holistic aspect of our residents. We invite you to speak with us and learn all about the Orchard Park New York, where caring is our privilege.